Even in my small home town, there are several big trucks going around installing cell sites on utility poles and other structures. 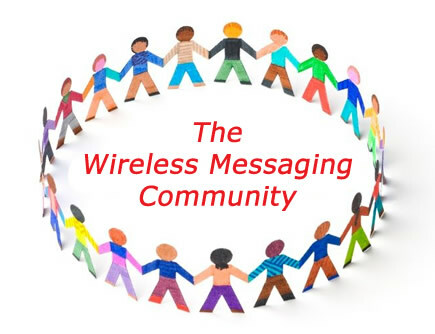 If you are not “up to speed” with the enormous 5G wireless build out going on in this country, don't miss the following article, How Wireless Works, and be sure to click on each of the • Slide links. [source] This is a big deal. To understand why your community needs a wireless infrastructure upgrade, it's helpful to understand what's actually happening every time you pull out your wireless device. What's the difference between towers and small cells? Both towers and small cells play an important role in delivering the wireless services you depend on. While they serve similar functions, they are also different in a few key ways. My community already has a tower. Do we need small cells? As screens get larger and smartphones become more capable, many of the online activities we used to do on computers are now being done on cellular-connected devices. We’re also adding tablets and wearable devices like smart watches to the mix—all demanding fast data speeds for streaming video, social media, gaming, and more. The best way for wireless carriers to keep up with all of this extra demand is through network densification—increasing capacity by creating new sectors and deploying more cell sites. By expanding our network of small cells, your carrier will be able to add more speed and capacity without interfering with the high-powered signal of the nearby tower. This all-of-the-above approach is called a heterogeneous network or HetNet. We have a portfolio of approximately 40,000 towers and 60,000 route miles of fiber supporting small cell deployments across the country. Our high-quality fiber assets are concentrated in the top metro markets where small cells are being deployed today. Our small cell solutions (SCS) footprint is extensive—with hundreds of on-air networks throughout the country and many more under construction. Our industry-leading expertise was developed through years of investment and experience—including franchise and municipal agreements throughout the country. As a leader in the industry, we already have strong relationships with every major wireless carrier. Need Better Coverage, Lower Costs and Faster Dispatch? You run an analog alerting network with old pagers that barely receive anymore. 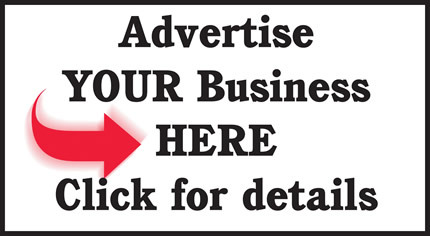 You're tired of your pager repair and replacement budget being spent too fast. You're frustrated with the long delay of your voice dispatch. If any of these statements apply to you, s.QUAD Voice pagers are the perfect solution for you. 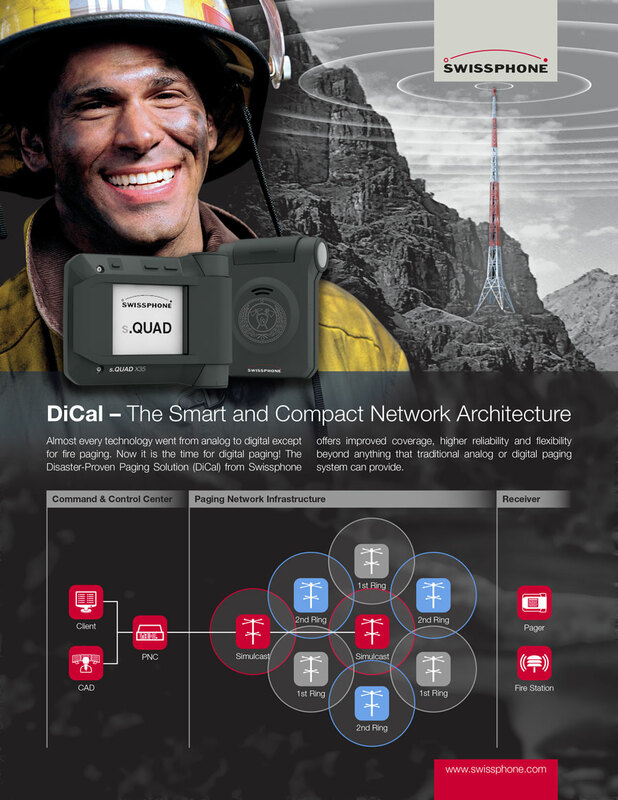 Read our whitepaper to help understand more about our s.QUAD Voice pagers. We now developed a new s.QUAD Voice pager called s.QUAD Voice 360 which has a rotary knob that controls volume and switches between alerting modes, giving the user full control while in use. 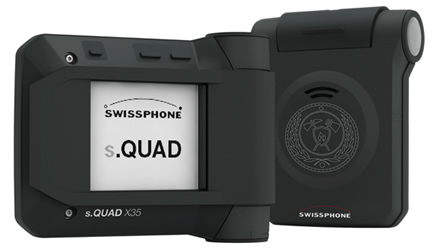 As with the normal s.QUAD Voice, the s.QUAD Voice 360 can be upgraded by a firmware update to a digital paging receiver (POCSAG), or it can work in both modes in parallel as a single device. This option enables a smooth migration to digital alerting. 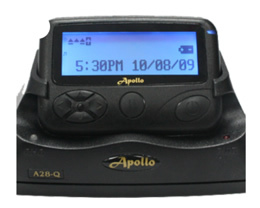 The s.QUAD Voice pagers provide an innovative, robust design that is comfortable for any user to wear. With a sensitivity of ≤ 2.0 μV/m, the s.QUAD Voice is the best in its class, offering secure receipt of messages and loud alerting. 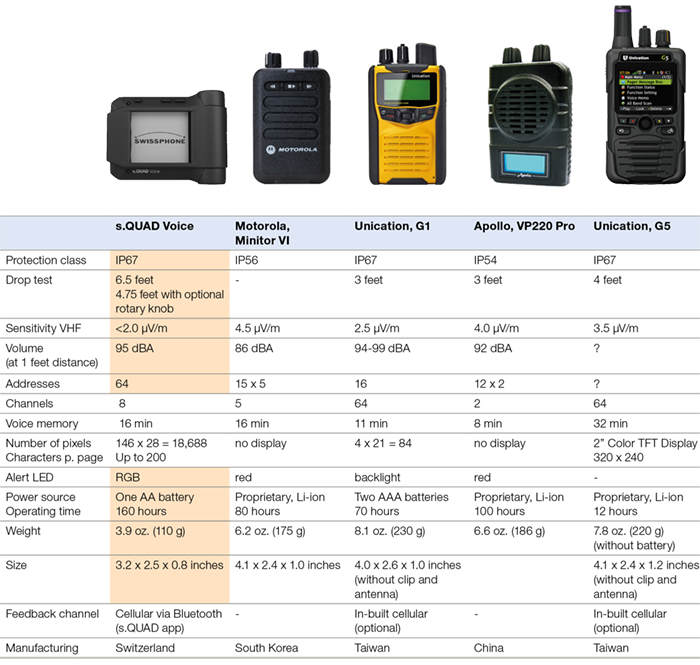 The above table compares the essential performance characteristics of the most current pagers available in the US. 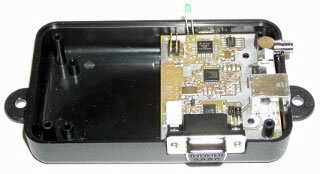 Swissphone is offering its pager dealers a $75.00 flat rate for pager repairs with a 24-hour guaranteed turnaround. 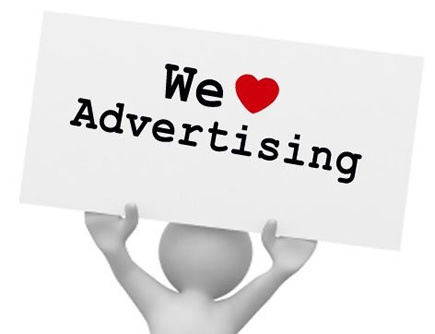 In addition, we will support you with a free demo program for your end customers. This approach results in satisfied customers, fewer complaints, and more sales. Contact us now if you are interested in our Swissphone dealership package. 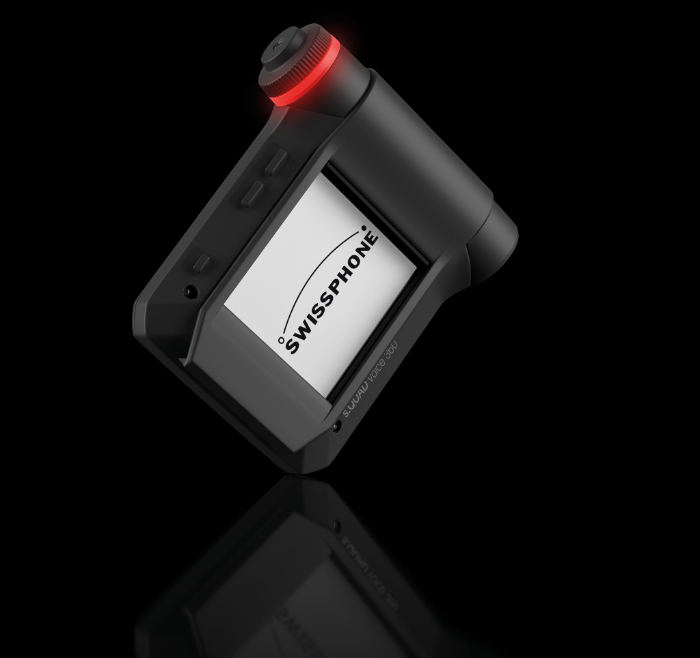 You can test Swissphone’s pagers in real-time emergency situations. 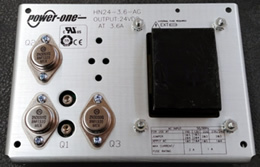 To receive your free s.QUAD Voice or s.ONE demo, call 800-596-1914 or fill out our demo request form. We will help you set up your pager demo free of cost and will address any questions or concerns you may have. 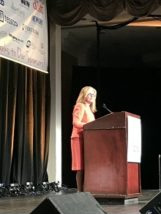 Having just received the inaugural Legislative and Regulatory Champion of the Year Award at NATE UNITE 2018 on Wednesday, Congressman (her preferred designation of her title) Marsha Blackburn, Chairman of the House Energy & Commerce Subcommittee on Communications & Technology, addressed the issues facing the telecom infrastructure industry and Washington’s efforts to see them expedited. Any funds for broadband in an infrastructure package should go to unserved areas first. The federal government should not be picking winners and losers in the marketplace. Any federal support for broadband infrastructure should be competitively and technologically neutral. If we adhere to these principles, I am confident we can avoid the pitfalls of waste, fraud and inefficiency that marred the previous administration’s efforts on broadband infrastructure. Congress should be mindful of the significant amounts of private capital spent to support broadband deployment. It was the FCC’s decision in 2015 to reclassify the competitive broadband marketplace, according to Blackburn, under Title 2 of the Communications Act, that made it “an outdated relic of the 1930’s monopoly era” and put the telecom sector in decline. She cited the “light-touch approach” as being the bedrock of communications policy since the Clinton administration and stressed the importance of how enhancing economic growth through telecommunications, should remain a bipartisan effort. Blackburn noted the recently signed Tax Cuts and Jobs Act is a boon for large companies and smaller broadband providers alike, especially those deploying broadband to unserved rural communities nationwide. As Chairman of the House Energy & Commerce Subcommittee on Communications & Technology, she said she has kept her bipartisan committee members busy by asking them to bring her their best ideas for a broadband infrastructure package. 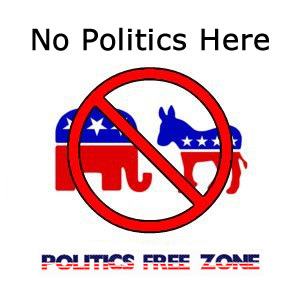 “We had a hearing at the end of January – and we discussed 25 pieces of legislation,” she said. The ideas she got back, run the gamut from the poor quality of the FCC’s broadband maps to streamlining the permitting process, to modernizing our laws to address tower siting and federal rights-of-ways. “We’ll be moving to mark those bills up in full committee soon, and hopefully get as many of them to the floor as possible,” Blackburn said. 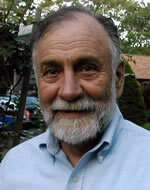 Blackburn expressed support of “dig once” programs and expediting the historical review process. She said she was working closely with the White House on broadband expansion and cited two recently signed bills relating to rural connectivity and putting those standards on par with those in more urban areas. In Tennessee, Blackburn said Governor Haslam recently announced $10,000,000 in grants through the Tennessee Broadband Accessibility Act with the grantees providing another $10,000,000 in matching funds. “It’s important that people all over the country can connect to a network and place calls, especially when they’re in times of crisis,” she said. Blackburn applauded bipartisan efforts to complete the AIRWAVES Act, creating a competitive bidding process to grant priority access license for the use of specific bands of spectrum. On February 15, the FCC released the annual Telecommunications Reporting Worksheet (FCC Form 499-A) and accompanying instructions to be used in 2018 to report 2017 revenues, and the quarterly Telecommunications Reporting Worksheet (FCC Form 499-Q) and accompanying instructions to be used in 2018 to report projected and collected revenues on a quarterly basis. The revised FCC Forms and the accompanying instructions are also will be available soon on Universal Service Administrative Company’s (USAC) website at http://www.usac.org/cont/tools/forms/default.aspx. As a reminder, FCC Form 499-A is due on April 2, 2018. The next Form 499-Q is due May 1. On February 16, the FCC released a Second Order on Reconsideration and Clarification in which it reconsidered rules adopted in the Rate-of-Return Reform Order relating to rate-of-return local exchange carriers’ (LECs) provision of consumer broadband-only loops (CBOLs). First, the FCC replaced the surrogate cost method for determining the cost of CBOLs with rules employing existing separations and cost allocation procedures. Specifically, broadband-only investment will equal the amount of broadband-only loop investment included in CWF Category 2 Wideband and COE Category 4.11 Wideband Exchange Line Circuit Equipment, and related reserves and other investment, assigned to interstate special access pursuant to Parts 36 and 69 of the Commission’s rules. Broadband-only loop expenses should then be determined by reference to such investments. Rate-of-return carriers are required to use the revised procedures for determining broadband-only line costs to be shifted beginning July 1, 2018. Second, the FCC revised the rule requiring rate-of-return carriers to impute on CBOLs an amount equal to the Access Recovery Charge (ARC) that could have been assessed on a voice or voice/broadband line. Specifically, the ARC revenues from the most recent tariff period prior to the effective date of the CBOL imputation rule (tariff year 2015-16) will be considered a baseline, and a rate-of-return carrier’s CAF ICC support will be reduced by the ARC imputation on CBOLs only if a carrier’s maximum assessable ARCs and imputed CBOL ARCs falls short of the baseline amount. All rate-of-return carriers must reflect the effects of these rule revisions in their Tariff Review Plans for the June 2018 annual access charge tariff filings. 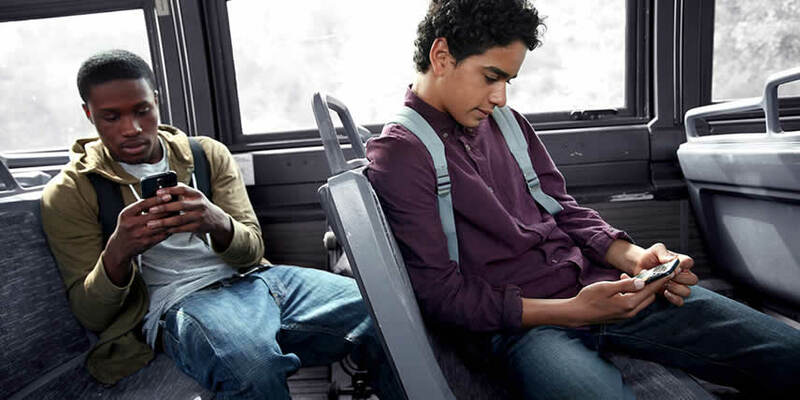 Finally, the FCC clarified two matters pertaining to reductions in Connect America Fund Broadband Loop Support (CAF BLS) due to competitive overlap. In the Rate of Return Order, the FCC adopted published a table showing the “reduction ratio” for specified “competitive ratios” (i.e., the ratio of competitive square miles to non-competitive square miles in a study area). This table did not adequately reflect the reduction ratios that should apply to competitive ratios in between the specified competitive ratios. The FCC therefore published a second table to clarify. The FCC also clarified a reference to the transition schedule for CAF BLS where there is competitive overlap of “more than 25 percent” of total CAF BLS. This range should actually state “25 percent or more,” to avoid a gap when overlap is exactly 25 percent. The FCC will also hear a presentation on a new National Broadband Map providing improved access to fixed-broadband deployment. The Open Meeting will be streamed live at www.fcc.gov/live and can be followed on social media with #OpenMtgFCC. Continuing with the FCC’s pilot program, public drafts of each item described above is linked within the description. One-page cover sheets are included in the public drafts to help summarize each item. These are not final drafts and may be different than what the FCC ultimately considers and adopts. 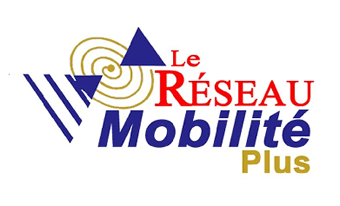 On February 14, the FCC issued a Public Notice announcing that the web-based form that participants in the Mobility Fund Phase II (MF-II) challenge process must use to request access to the Universal Service Administrative Company (USAC) challenge process portal is now available. Any party wishing to receive its login credentials at the time the challenge process window opens should submit its access request form no later than March 15. Any eligible mobile service provider or government entity (state, local, or Tribal) wishing to participate in the challenge process must submit its contact information via the web-based access request form to be granted access to the USAC portal. The access request form is now available at www.fcc.gov/MF2-Challenge- Portal/form. The FCC will process submitted forms on a rolling basis and email login credentials and instructions for accessing the portal to the user(s) designated on each form. BloostonLaw has a proven track record of winning FCC auction challenge processes, and is available to assist carriers interested in participating in the Mobility Fund Phase II challenge process. Following numerous consumer complaints, the FCC cited Mr. Malcolm for violations of the TCPA. According to the press release, the violations continued after Mr. Malcolm received notice, and when Mr. Malcolm was asked to provide any evidence related to and arguments against the proposed fine, his response arrived nearly seven months after the deadline. Mr. Malcolm subsequently petitioned the FCC for reconsideration, claiming that the fine was excessive. 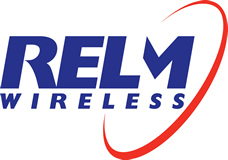 The FCC rejected the petition on procedural grounds: FCC rules generally provide for reconsideration only when the petitioner presents new facts that were not available prior to the issuance of the fine, and according to the FCC Mr. Malcolm could have argued excessiveness in earlier responses but failed to do so. The FCC also found that Mr. Malcolm had not presented evidence sufficient to demonstrate that the forfeiture was excessive in violation of the Eighth Amendment. Multiple news outlets are reporting that the FCC’s Restoring Internet Freedom Order, in which the agency returned broadband internet access service to Title I regulation and repealed the bright-line Net Neutrality rules, will be published in the Federal Register tomorrow, February 22. Publication in the Federal Register triggers a number of deadlines relevant to the rules. Senate Democrats, led by Ed Markey (D-Mass), will be able to file their Congressional Review Act resolution to undo the repeal, and State attorneys general and groups like Public Knowledge and Free Press will be able to file lawsuits. According to a press release, Ericsson has partnered with Boston-based startup Altaeros to demonstrate a new “SuperTower” designed to “help operators deploy LTE in hard-to-reach rural communities.” The SuperTower uses tethered aerostats, the industrial versions of blimps. In late 2017, the companies set up a multi-sector LTE base station on a SuperTower in rural Maine, which floats at heights six to eight times higher than most cell towers. According to Altaeros, the SuperTowers “offer greater flexibility for site placement, cost up to 70 percent less to roll out, provide coverage equivalent to a network of 30 conventional cell towers and have less impact on the environment.” The new offering utilizes Altaeros’ tethered aerostat design and automation technology as a platform for Ericsson’s 5G-ready radio system with multiple-input and multiple-output (MIMO) capable radios. MARCH 1: CPNI ANNUAL CERTIFICATION. Carriers should modify (as necessary) and complete their “Annual Certification of CPNI Compliance” for 2018. The certification must be filed with the FCC by March 1. Note that the annual certification should include the following three required Exhibits: (a) a detailed Statement Explaining How The Company’s Operating Procedures Ensure Compliance With The FCC’S CPNI Rules to reflect the Company’s policies and information; (b) a Statement of Actions Taken Against Data Brokers; and (c) a Summary of Customer Complaints Regarding Unauthorized Release of CPNI. A company officer with personal knowledge that the company has established operating procedures adequate to ensure compliance with the rules must execute the Certification, place a copy of the Certification and accompanying Exhibits in the Company’s CPNI Compliance Records, and file the certification with the FCC in the correct fashion. Our clients can forward the original to BloostonLaw in time for the firm to make the filing with the FCC by March 1, if desired. BloostonLaw is prepared to help our clients meet this requirement, which we expect will be strictly enforced, by assisting with preparation of their certification filing; reviewing the filing to make sure that the required showings are made; filing the certification with the FCC, and obtaining a proof-of-filing copy for your records. Clients interested in obtaining BloostonLaw's CPNI compliance manual should contact Gerry Duffy (202-828-5528) or Mary Sisak (202-828-5554). Note: If you file the CPNI certification, you must also file the FCC Form 499-A Telecom Reporting Worksheet by April 1. APRIL 1: FCC FORM 499-A, TELECOMMUNICATIONS REPORTING WORKSHEET. This form must be filed by all contributors to the Universal Service Fund (USF) sup-port mechanisms, the Telecommunications Relay Service (TRS) Fund, the cost recovery mechanism for the North American Numbering Plan Administration (NANPA), and the shared costs of local number portability (LNP). Contributors include every telecommunications carrier that provides interstate, intrastate, and international telecommunications, and certain other entities that provide interstate telecommunications for a fee. Even common carriers that qualify for the de minimis ex-emption must file Form 499-A. Entities whose universal service contributions will be less than $10,000 qualify for the de minimis exemption. De minimis entities do not have to file the quarterly report (FCC Form 499-Q), which was due February 1, and will again be due May 1. Form 499-Q relates to universal and LNP mechanisms. Form 499-A relates to all of these mechanisms and, hence, applies to all providers of interstate, intrastate, and international telecommunications services. Form 499-A contains revenue information for January 1 through December 31 of the prior calendar year. And Form 499-Q contains revenue information from the prior quarter plus projections for the next quarter. (Note: the revised 499-A and 499-Q forms are now available.) Block 2-B of the Form 499-A requires each carrier to designate an agent in the District of Columbia upon whom all notices, process, orders, and decisions by the FCC may be served on behalf of that carrier in proceedings before the Commission. Carriers receiving this newsletter may specify our law firm as their D.C. agent for service of process using the information in our masthead. There is no charge for this service. APRIL 1: ANNUAL ACCESS TO ADVANCED SERVICES CERTIFICATION. All providers of telecommunications services and telecommunications carriers subject to Section 255 of the Telecommunications Act are required to file with the FCC an annual certification that (1) states the company has procedures in place to meet the recordkeeping requirements of Part 14 of the Rules; (2) states that the company has in fact kept records for the previous calendar year; (3) contains contact information for the individual or individuals handling customer complaints under Part 14; (4) contains contact information for the company’s designated agent; and (5) is supported by an affidavit or declaration under penalty of perjury signed by an officer of the company. BloostonLaw Contacts: Gerry Duffy, Mary Sisak, and Sal Taillefer. Feb. 22 – Reply comments are due on Spectrum Frontiers / Above 24 GHz Report and Order. Feb. 26 – Comments are due on national television audience reach cap review. Mar. 2 – Reply comments are due on MVPD communications proceeding. Mar. 2 – PRA comments due on FCC Form 183. Mar. 5 – PRA Comments are due on pole attachment complaint process; network change notification revisions. Mar. 31 – Streamlined International Circuit Capacity Report is due. In light of the recent changes to GTES/SPOK I wanted to ensure everyone is aware that Easy Solutions is still proudly supporting the Glenayre infrastructure. We have been supporting customers that chose an alternative to GTES since 2002 and are happy to provide better than excellent support to everyone in the industry. The GL3000 reminds us of the tube style TVs of the days gone by where the electronics was designed and manufactured to last a life time. Unlike the PC infrastructure with today’s less than quality capacitors and other components that seem to always fail after a few years, the Glenayre keeps paging along like the Energizer Bunny (without viruses and failing hardware). The Glenayre is still the best and most reliable product in the market place serving the smallest carriers, hospitals, municipalities etc. to the largest carriers in the USA and throughout the globe. We welcome all inquiries and look forward to supporting the industry for many decades in the future.